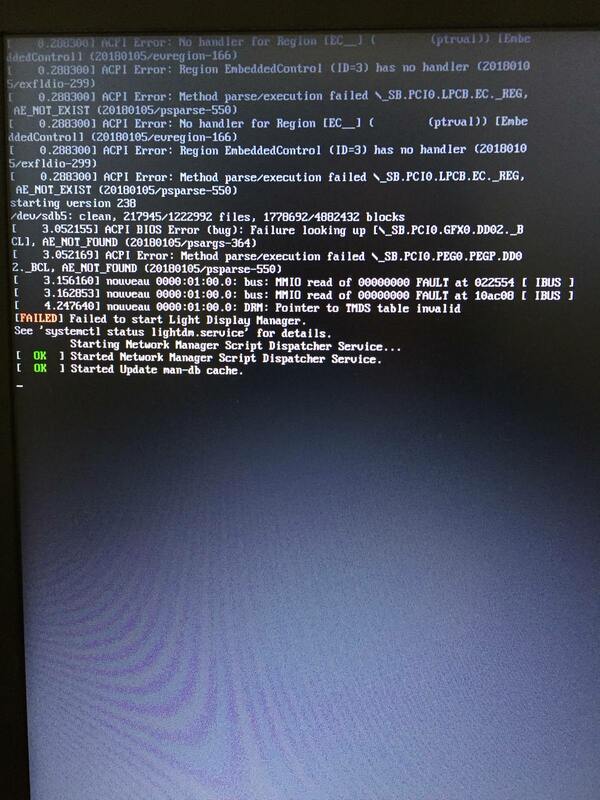 Antergos wont boot after trying to fix screen tearing issues. Now I can’t get to the login screen. Getting nouveau errors (I can take a pic with my phone later). Thank you for your time, hope someone can be of help to me! @joekamprad Thank you for the reply! The thing is that I can’t get to the terminal. If the only modification was to change file 20-intel.conf, you should be able to undo that. Just boot using the installer USB stick, find out the partition of your Antergos install, chroot to Antergos, and use nano again to remove the change. gives you info about your partitions. Now your can use nano again to undo your changes. and do you try to remove the not working config for intel? poressing [Ctrl+alt+F2] should work to get a login to CLI.